HCM CITY — The HCM City consumer market was steady during Tết (Lunar New Year) holiday, according to the city Department of Industry and Trade. In a report to the municipal government, it said the price-stabilisation programme has been implemented efficiently, helping prevent any supply shortfall or sudden rise in prices during what is the year’s peak shopping season. Through programmes connecting producers, distributors and retailers, many specialities from various parts of the country were available in the city. Manufacturers, besides making careful preparations to ensure adequate supply at steady prices, also focused on improving quality to meet consumers’ increasing expectations. The department had made plans early for Tết this year and implemented them scrupulously. Many businesses launched promotions, stimulating consumption. The department said retail sales increased by 12-15 per cent this year, with modern channels reporting a 15-25 per cent rise. The city began a programme this year under which traders do preliminary processing of fruits and vegetables at their facilities before transporting them to the city’s wholesale markets to reduce the amount of garbage in the city. 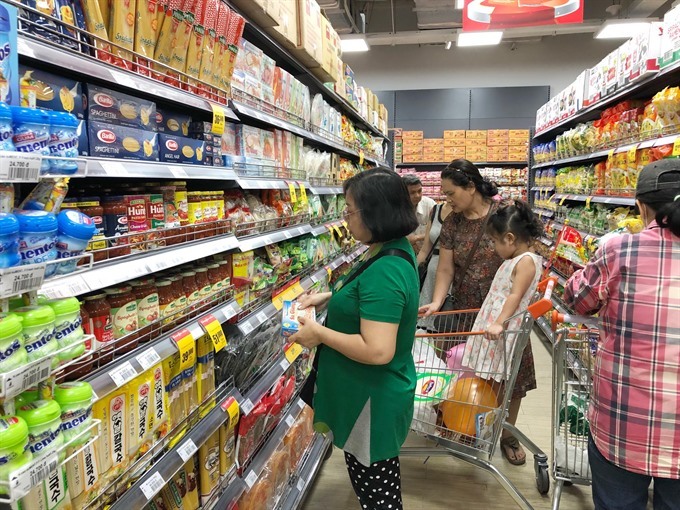 Many supermarkets and food shops such as Co.opmart, Co.opXtra, Co.op Food, Lotte Mart, Satrafood and Vissan reopened on February 6, one day after the Lunar New Year, but sales were down from before Tết. Supermarkets launched promotions, including 10-20 per cent discounts on fresh foods and 5-49 per cent on non-food products, besides giving lucky money to customers to boost sales.